The criminal defense attorneys at The Hawkins Law Firm handle a broad range of criminal matters. Because of the firm’s extensive Family Law practice, the Criminal Law practice area began with cases that were closely connected to domestic relations representation. The firm has handled cases in municipal, district and circuit courts, including domestic violence, felony strangulation, harassment, stalking, sexual abuse, interference with child custody, injunction and no-contact order violations, travelling and other crimes that arise when family law and criminal law intersect. The complexity of a family law case increases dramatically when it involves criminal law issues. There is no better example than that illustrated by simultaneous proceedings. Many times in the context of divorce, custody or juvenile dependency cases that are pending in civil court, parties become embroiled in criminal cases involving domestic violence and other alleged crimes. When both civil and criminal matters with related issues, parties and witnesses are involved, constitutional concerns are heightened. For example, should a criminal defendant with pending criminal charges assert the Fifth Amendment privilege against self-incrimination and refuse to testify in a civil case? A civil court, unlike the criminal court, may draw an adverse inference when the privilege is asserted. Family law cases are not suspended just because criminal cases are pending and people with criminal exposure will be forced to make difficult choices about whether to preserve a privilege or testify or comply with discovery orders. There are numerous other issues that come into play when criminal law and family law are intertwined. The availability of incarcerated criminal defendants to appear or participate in family law matters, ethical dilemmas involving the attorney-client privilege that may require attorneys to take specific remedial actions when a client has indicated an intention to commit a crime in the future, the use of self-help by litigants in a divorce or custody proceeding and complying with conflicting criminal and civil orders are just a few. If you are facing both criminal charges and dealing with a difficult family law matter, the criminal defense attorneys at The Hawkins Law Firm can help. Having the same attorney involved in both cases provides reassurance that both cases will be handled with the experience that ensures a winning strategy. The Hawkins Law Firm is well equipped to represent you in both your family law and criminal defense matters, including domestic assault issues, protection from abuse orders, untrue allegations of sexual abuse that often arise in the family law context and other criminal matters. Lana Hawkins uses her perspective to help you overcome damaging civil and criminal consequences. 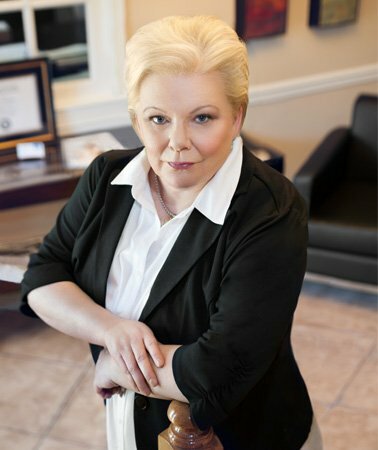 She develops a strategy that includes years of experience involving the complex relationship between criminal and family law cases. She helps you see your options and develops a course of action to help you navigate through your challenges. Whether in the courtroom or dealing with high-stakes issues at the negotiating table, we are focused on your best interests.